Long Beach is only one of many beaches in Tofino, a place easily considered a surfer’s paradise. Located on Vancouver Island on Canada’s most western coast, Tofino is inundated with surfers. According to the 2016 census, Tofino is home to only 1,932 residents, yet there’s no question its non-stop, year-round tourism surely bolsters this number. With its edgy, yet laid-back surf-culture, it serves as a world-wide draw for those looking to spectate or participate in surfing. If you’re curious about surfing Long Beach or any other beach in Tofino, here’s what you should know. Sure, if you’re new to learning about Canada’s west coast, your mind might wander to ice-cold temperatures and ample snow, leaving surfing in Canada among the furthest things from your bucket-list. Thankfully, Tofino, (located midway up the west coast of Vancouver Island) has mild temperatures, leaving surfing in Tofino possible all year round. With snow incredibly rare, the water temperatures sit nicely between 7 and 15 degrees Celsius. 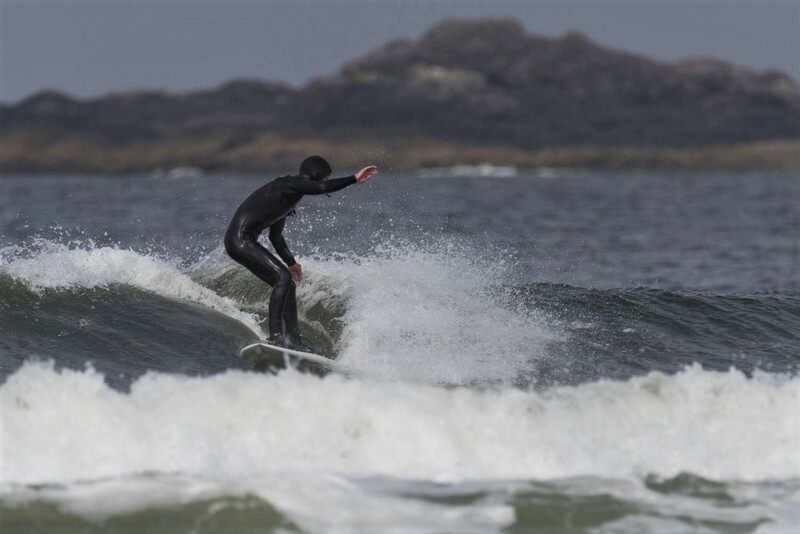 Tofino is home to roughly 35 KM of beaches with Long Beach acting as only one of many choices for surfers. 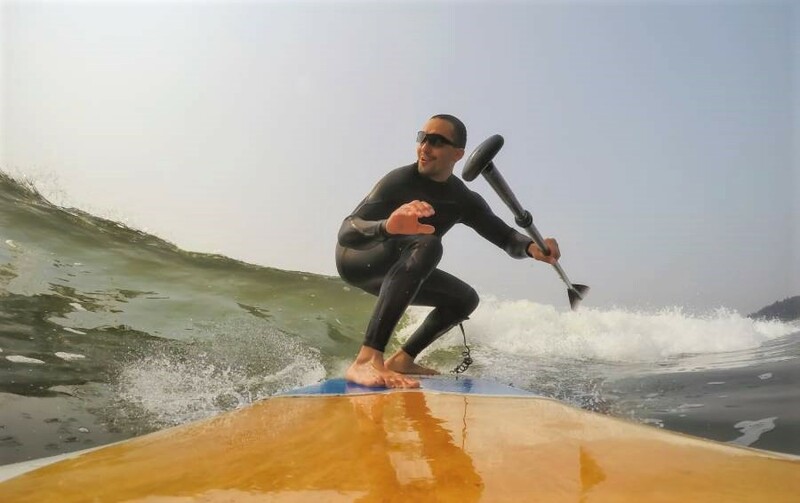 MacKenzie Beach, popular with stand-up paddle boarders serves as an alternate surf location when swells at other beaches are too strong. Chesterman Beach (home to North, Middle, and South Chesterman) is where many surf lessons take place, and a great spot for beginner surfers. Cox Bay Beach is considered Tofino’s main surfing destination offering the most consistent surf with swells between 2.5 and 3 meters. 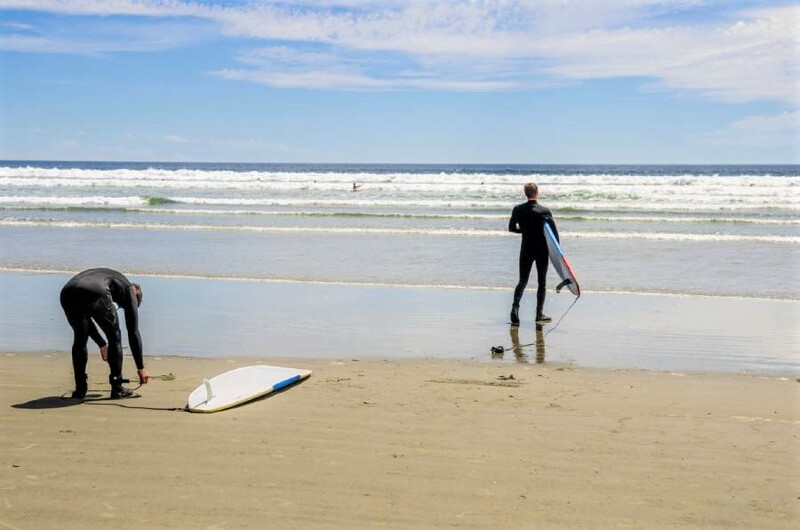 Finally, Long Beach, roughly 25 minutes from downtown Tofino is home to 16 KM of sandy beachfront offering the best of summer surfing. Tofino and its nearby counterpart Ucluelet (prounouced u-clue-let) offer hugely diverse accommodations. There are high-end resorts like Black Rock Oceanfront Resort, The Wickaninnish Inn (commonly called ‘The Wick’), and Long Beach Lodge Resort offering incredible culinary experiences through their in-house restaurants and topping off one’s stay with on-site spa services. Some, perhaps looking for a more authentic west coast experience choose to camp at one of the numerous local campsites, while other opt for familiar hotel chains, like the Best Western. If you’d like to learn to surf, or you’re not keen on hauling your gear around, you can find everything you need (in terms of equipment and instruction right in the heart of Tofino). Again, with a local population of under 2,000 residents the long list of surf shops speaks to the prominence of the surf culture here. Located on Tourism Tofino’s website, is an up-to-date list of the many local surf shops. Just because you love the thought of surfing doesn’t mean you’re looking to pull on a wetsuit and dive-in. Soaking up surf culture in Tofino might include grabbing a hot coffee from a local coffee shop and walking the beach while watching the surfers in the distance crest the waves over and over again. While surfers are common on any given day, be sure to mark you calendar with the dates of these action packed surf competitions.